Author keving722Posted on May 11, 2017 Format ImageCategories EthicsLeave a comment on It’s time to shut ecot down. On February 29, 2016, Tim Walker wrote the following for the NEA Today magazine, in the middle he quoted yours truly. 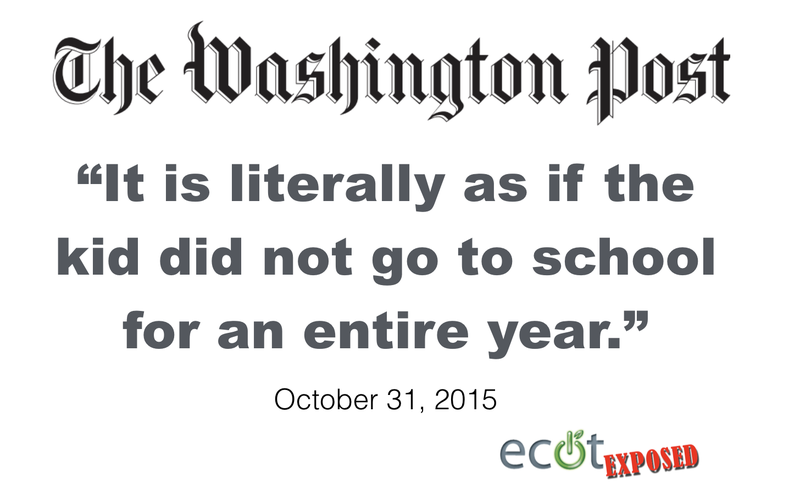 The Ohio Department of Education audited ECOT and found only 40% of student met attendance requirements. “The school has become a major embarrassment,” says Sandy Theis. Imagine the public outrage if a state agency was caught forking over more than $100 million a year in taxpayer dollars to a wealthy business that submitted invoices for phony work. Oh, and the victims of this scam were children. Imagine how many children could be helped with $60 million. How many reading tutors could be provided to third-graders? The fight with ECOT isn’t about contracts, it’s about children. So what is going on between the virtual walls of ECOT? Are they a school where students must complete 25 hours per week of lessons supplied by ECOT? 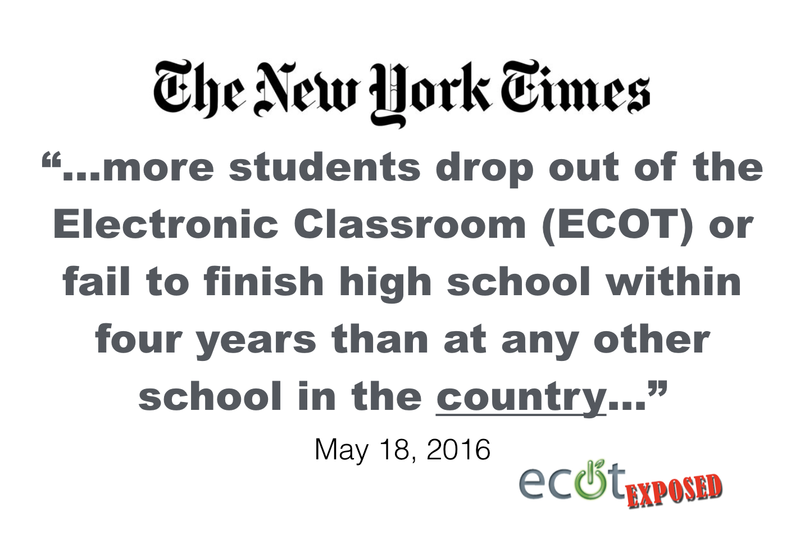 Or are ECOT students so immersed in off-line projects that ECOT is unable track them? We’ll probably never know and need to settle for these two truths. ECOT is one of the worst performing schools in the state, and thanks to taxpayers, ECOT’s owner is a very, very rich man. Author keving722Posted on August 7, 2016 Format ImageCategories EthicsLeave a comment on Why would anyone enroll at ECOT? Author keving722Posted on August 1, 2016 Categories EthicsLeave a comment on Will Ohio seriously investigate ECOT attendance records?